While a major hemp and cannabis expo in Sydney this weekend may have been a rip-roaring success; the NSW Premier may not have such fond memories of the event. The inaugural Hemp, Health & Innovation Expo attracted dozens of exhibitors including the Industrial Hemp Association NSW and Medicinal Cannabis Users of Australia (MCUA). 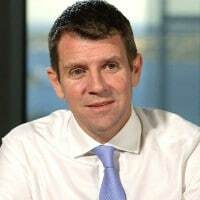 It also hosted the second ‘United in Compassion’ Medicinal Cannabis Symposium; which was organised by medical cannabis advocate Lucy Haslam and opened by New South Wales’ Premier, Mike Baird. Unfortunately for Premier Baird, he was apparently heckled during his speech and also confronted by medical cannabis users afterwards. Among those to bail the Premier up was Ben Oakley, who suffers from the rare condition, Stiff Person Syndrome. Mr. Oakley said cannabis oil has saved his life and urged the Premier to accelerate related programs. There’s no doubt Premier Baird is a strong supporter of medicinal marijuana. He has spearheaded a number of initiatives to make it available in New South Wales, including an application lodged last week with the Federal Government for a license to cultivate cannabis for medicinal purposes. However, some feel progress in the state has been too slow and that frustration was apparent at the symposium. The frustration is understandable given what is at stake for the many people that cannabis could help; particularly given the relative simplicity of cannabis medication. One of the perhaps positive effects of this discontent was media coverage; with many popular Australian outlets reporting on the incident – which could help to further raise awareness. Thankfully, the dissent appears to be on whole civil, if somewhat uncomfortable for the Premier. Premier Baird isn’t Robinson Crusoe in this regard. Premiers in other states are coming under increasing pressure to make cannabis medicines more accessible rather than just focusing on a small group of patients in lengthy trials. What is becoming more apparent is that Australians using cannabis for treating conditions are becoming more prepared to speak out, even at the risk of prosecution due to archaic laws. “The harsh reality is they are still facing an additional burden because they remain criminals. This is untenable,” said organiser Lucy Haslam. The potential of medical cannabis to improve the quality of many lives is now overshadowing its previous and underserved reputation. The Australian Government could face mass civil disobedience if progress remains slow and in the process perhaps losing the control it wants and needs over the situation.